This is such an exciting time for Eastern Washington University. Two major events have converged: we will build an Interdisciplinary Science Center in Cheney, and we will be the anchor tenant in Avista’s Catalyst Project in Spokane’s South University District. First, I’m so grateful to the Washington State Legislature, which approved $67 million in this year’s capital budget for an Interdisciplinary Science Center on our Cheney campus. 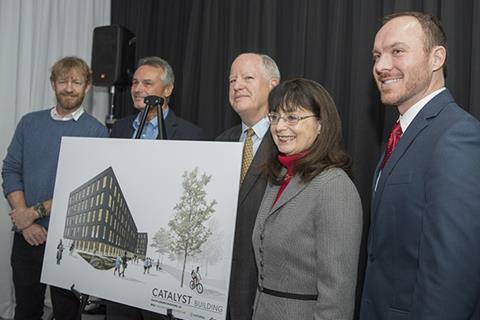 Second, I’m delighted to be partnering with Avista and McKinstry as we become anchor tenants in the beautiful, environmentally friendly Catalyst Building in Spokane’s University District. EWU will move Computer Science, Electrical Engineering, and Visual Communication Design programs from our Cheney campus to technology-rich spaces in a remarkable building that will provide students with unique learning experiences and provide faculty and the community with new opportunities for research and collaboration. 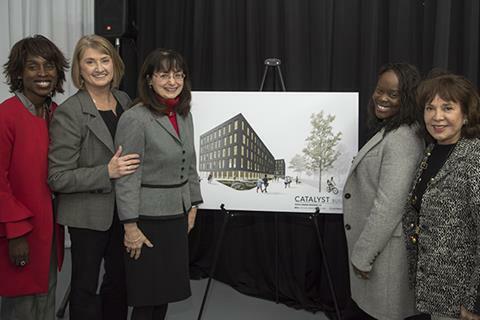 A high-tech Innovation Hub in the Catalyst Building will be a convening point for the community and the university, a place where people with diverse backgrounds and knowledge work together creatively to solve problems and generate ideas. Currently, EWU’s College of Business and Public Administration and our College of Health Science and Public Health bring 3,000 students to the University District campus. 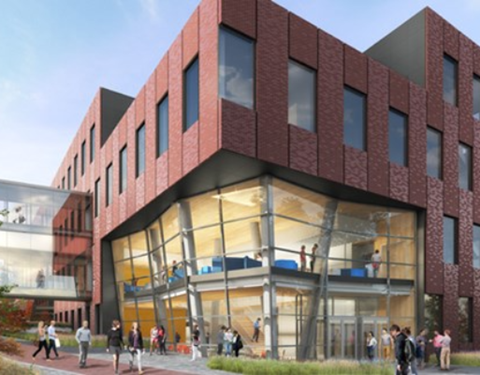 With the addition of 50 EWU computer science and engineering faculty and 1,000 students in the Catalyst Building, we will dramatically increase opportunities for interdisciplinary collaboration with companies and other universities. Interaction between the community and university faculty and students will foster ideas and expand opportunities for innovation and high-tech commercialization and transfer. This confluence of creativity and skills will help to further establish our region as a magnet for entrepreneurs and companies seeking a talented work force and an innovative, forward-thinking environment. Increasing knowledge, collaboration, and creative thinking, EWU is igniting change that is crucial to the continuing and expanding success of our part of the state. Inspired by two beautiful new buildings, we are committed to harnessing talent and skills that spur the economy and attract talented individuals to our region.